Voted “Best Staffing Service of the Fox” 2011 – 2017! Since 1980, Working World Inc. has assisted area residents and businesses with their employment needs. Offices in Crystal Lake and Fox Lake provide quick and simple access to Working World’s dependable staffing services. 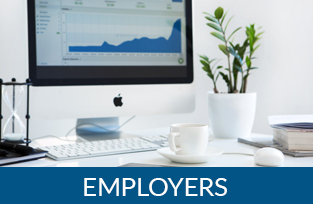 We welcome the opportunity to assist you with any type of employment services you require. We are independently owned and operated, community minded and employee focused. Give us a call or email us with questions anytime. "As the HR Director of a large manufacturing company, I rely on Working World to fill the spots that we can't fill. We get fast attention and great communication from the staff at Working World. Highly recommend them to anyone needing or Temp-Hire employees." "If you are looking for a good staffing agency to fill a position within your company, I would highly recommend Working World. The staff was friendly, dependable, smart and professional. They communicated with our staff every step of the way and have continued to exceed our expectations as we continue to work with them. Overall the service has been top notch, we are very happy with the outcome!" "You helped me out immensely, the company is exactly what I needed! Your agency is the best I've come across, you actually listened to what I was looking for and didn't rush me into a position." "Words can't express how impressed we have been with Working World, Inc. Their customer service has been nothing but excellent, friendly and responsive. Utilizing their services simplified and took the stress out of the hiring process for a few key positions to be filled here at LLF." "Our company loves Working World, Inc! You have been so helpful to us over the years in finding great people who have helped us with our mission. Every person you have placed with us, temporary or permanent, has been a quality individual who has contributed to our organization. Thank you Working World for all of your help!" "Working World provides an excellent service! They are excellent when it comes to communicating and have become one of my preferred firms." Major life events kept me unemployed for 1.5 years. I needed a fresh start. A friend suggested Working World and they delivered - in a big way. They found me a temporary position almost immediately and then helped me land a permanent position where I could not be happier. It was amazing to me how much they did to match me up where I was going to be a good fit. They have been a pleasure to work with!